Wwake's Wing Yau said the biggest and most surreal moment for her so far is when Rihanna wore one of the brand's pieces to the Grammy Awards. 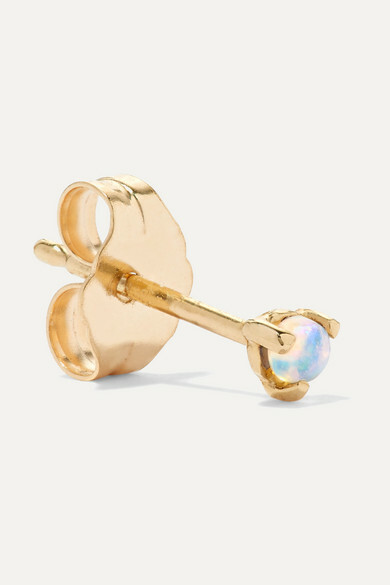 From the Spring '19 collection, this single earring is made from gold and decorated with a signature iridescent opal. 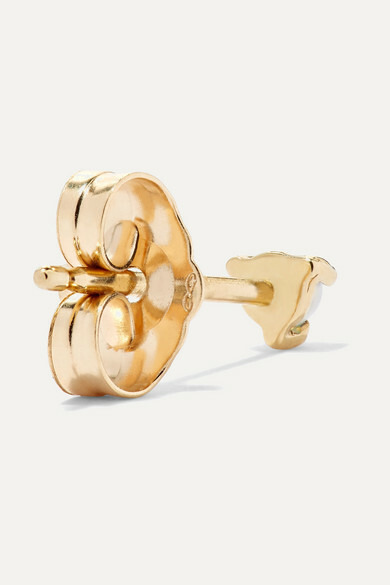 Mix and match it with other studs in your jewelry box. 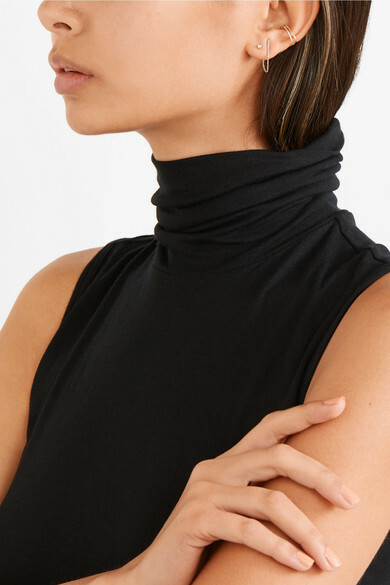 Shown here with: Catbird Earrings, Saskia Diez Earrings, Theory Top.